The brand new UM-SJTU Joint Institute building officially opened Thursday, May 24th for students and educators from around the world. 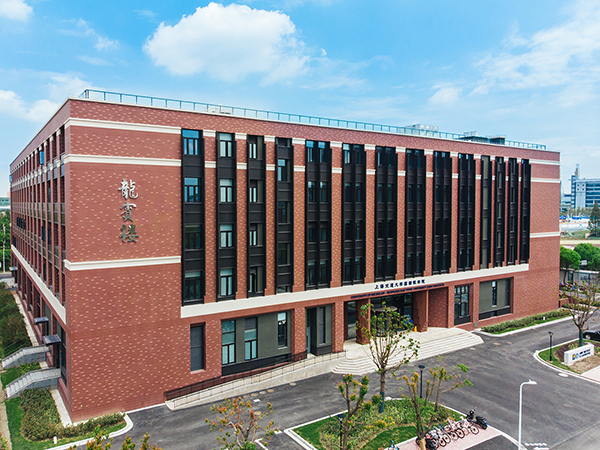 After two years of construction, the new Joint Institute building was unveiled at Shanghai Jiao Tong University’s Minhang campus on Thursday May 24th. This new facility, named the “UM-SJTU JI Long Bin Building” boasts some of the most elegant learning spaces and teaching laboratories that the campus has to offer. After walking in the front doors, you are immediately greeted by a beautiful atrium filled with natural light that is dotted with small seating areas for students to study or relax together. The first and second floor are full of research laboratories for everything from engine research to smart vehicle systems. 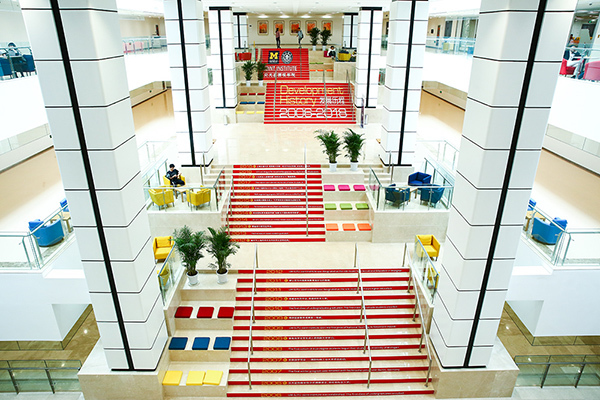 View of the spacious atrium from the third floor. 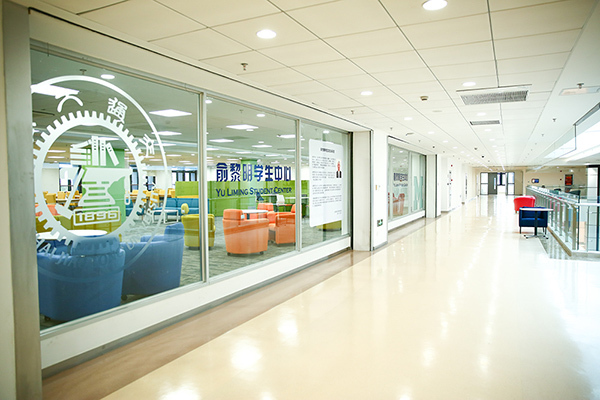 The third floor also has some smaller laboratories, but most of its space is dedicated to the Yu Liming Student Center, a large study space where students can come to work on homework and group projects. The main room of the study center is lined with large desks equipped with built-in plugs that are US and Chinese format. There are also couches and lounge chairs if students need to relax between classes. 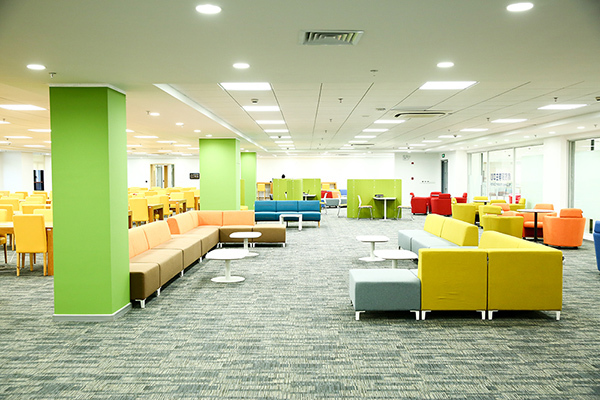 The second part of the study center consists of discussion rooms that students can book online that contain large touchscreen monitors and conference tables for collaborating with other students. The fourth floor consists mainly of administrative offices for Deans and Professors as well as a large open courtyard full of seating areas perfect for unwinding on a sunny day. Lastly, the fifth floor is mainly dedicated to graduate student offices as well as more discussion rooms to offer students the most productive space possible. Overall, the new Long Bin building will be a great addition for the UM-SJTU Joint Institute and will offer students outstanding opportunities for years to come.